As a small business owner, you consistently operate to propel your business to the next level. One way to consistently stand out in the crowd is frequently updating your website. Potential customers arrive on your website and quickly scan the available information. They want to gain a feel for the benefits that you offer them. And it is a split second action that could result in a potential customer moving on to the competition if your website contains outdated information. Plus, links that do not work properly drive visitors away. Having page content that does not include industry relevant SEO keywords can result in search engines being unable to find your website. Here are four benefits you stand to receive by frequently updating your small business website. Search engines constantly scour the internet in search of top ranking websites that provide information on the topics of interest to their users. Your target market audience prompts these searches to take place by entering a keyword or keyword phrase into a search box. That single action sends search bots into action looking for relevant website content that matches that keyword or keyword phrase. By frequently updating your small business website, you work to ensure that the page content features the keyword information that your market segment needs. Each content update you make to your website catches the attention of the search engines. They begin to visit your site more frequently than before, taking notice of the relevant content that you offer. Every visit works to improve the ranking position you receive on the results pages that customers see. Google is a household name when it comes to looking for information and expanding your knowledge on a particular topic of interest. Further, the search engine giant is aware of its popular following. And it works hard to preserve its reputation as being the ‘go-to’ informational source for much of the country. Therefore, Google reserves the first few pages of its search result listings for the websites that live up to Google’s quality standard. 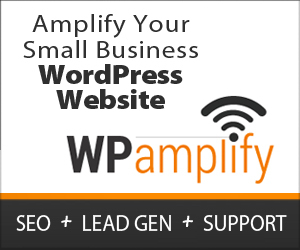 Frequently updating your small business website captures Google’s attention. In addition, it brings the search bots in your direction. And you don’t need to engage in elaborate updates every minute, every hour or even every day to catch Google’s eye. Simple content updates are enough to attract the attention of the search engine giant. So, hosting a blog where you publish quality content for your target market audience can work. A bounce rate refers to the activity of a new visitor arriving on your website. While they spend a few moments looking at your content, they leaving without taking any action with your company. And having an outdated website serving as the online presence for your company results in higher bounce rates. Plus, search engines treat higher bounce rates poorly by looking the other way.nThey start looking for other websites that better meet consumer needs. In addition, once a search engine turns against your website, the competition to bring them back is fierce. When you frequently update your website, you are working to ensure that all of your links are working properly, and the content remains relevant to your target market segment. You can announce a new product line or introduce a new staff member. Now when potential customers arrive at your website, they are finding value in their experience there. Instead of leaving after a few moments, they take the time to learn more about your company and the benefit you provide. It works to reduce your bounce rate numbers, which in turn brings the search engines back for a second look. It seems like consumers make repeat purchases from companies that they feel they can trust. You probably want to be one of those companies. And keeping your website up-to-date is an excellent way to make that happen. Hence, it is important to share product line announcements with customers. In addition, answer potential client questions about your company. Finally, post regular blog articles on your website because it makes visitors return for more. It is especially relevant that each content piece serves a dual purpose of keeping your website content fresh. Plus, it works to establish your position of authority within your industry. Furthermore, potential customers begin to come in contact with the content you provide. They start to see you as the only viable option for resolving the issues they face. And they place their trust in you. As a result, they declare brand loyalty to your company. Therefore, frequently updating your small business website gives potential customers a reason to do business with you. And it works to give loyal customers a reason to stay. This keeps the competition working twice as hard to keep up with you. In conclusion, you become a winner in the fight for customer attention.